BUT... and this is a big one.....there is always a chance to BE in the space of LOVE. Try it. As an exercise. Just watch your reactions. Just watch the mind, and decide that you wish to see the LOVE instead of the FEAR. Try it for a day. Catch yourself every time you begin a judgment or start to be critical of yourself or others. OH, you have to turn the TV NEWS off for this- at first. Because there isn't any 'happy' news on the news. And the trick is to remind yourself of all the things that are GOOD in YOUR WORLD. 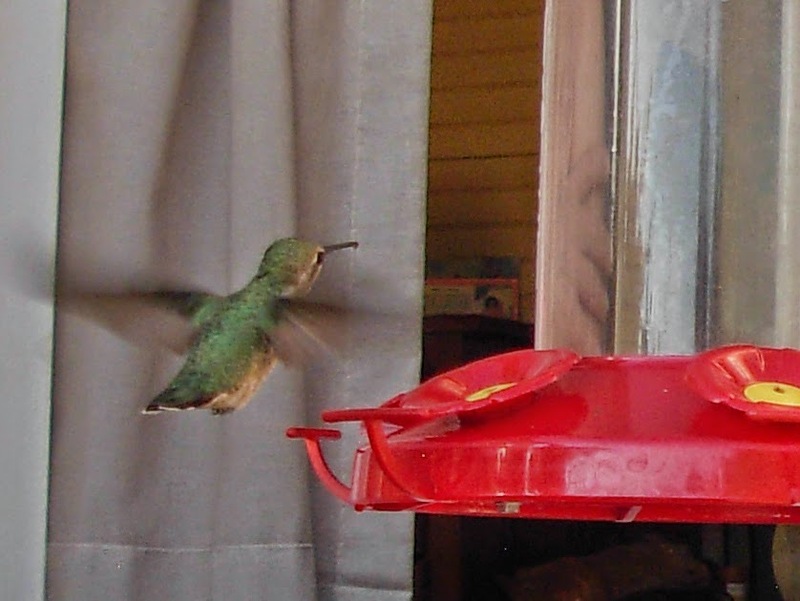 You are going for the SUGAR, just like the Hummingbird. That is your fuel. Jupiter has entered LEO. Its in a tight square to Mars. That's a 'working it' sort of aspect. Its not bad. Its actually good. Jupiter is about 'over the top' energy. And Mars is full steam ahead (but in Scorpio it will be very covert in its actions). So Mars pushes Jupiter to take 'risks'. Nudging with taunts. Well, if this is a risk of sharing the heart, it can lead to all sorts of adventures! BE BRAVE says Mars. BE OPEN says Jupiter. Waltzing from stage right comes Saturn. The tasks-master is still in Scorpio. Saturn adds the steady hand of digging deep, but not so fast that you miss the gems you might find along the way. Those sparkles can only been seen in the 'light' of day; the light beams from an open heart. This is open heart surgery time. How much blood you lose depends on the condition of your thought process. Do you pump out the anger, fear, revenge, jealous thoughts? Or do you expand to your child like nature to play, cherish, and embrace the sunshine? HAPPY ACCIDENTS are a natural result of thinking and believing in them. Uranus is the ruler of 'accidents'. The unexpected. I actually prefer the words- magical manifestations. So plant that in your mind. "Uranus= MAGICAL MANIFESTATIONS". Jupiter will be doing a dance with Uranus. This dance I will call the Hummingbird DIVE. Fast, with great speed and without fear. The Hummingbird Dive will become very popular in October.Everyone will be doing it. Dance halls (YOUR LIVING ROOM) across the world will be filled with joyful people doing this "HUMMINGBIRD DIVE". However, you can start practicing the moves with your beloved NOW. It means you will not hold back. You set your sight on the goal, and you see it as successful. THE GOAL? The go-all of being more centered in love more of the time, each and everyday. Leave the rest up to the wind and your wings of faith. Your faith is key. Practice makes Perfect. No shortcuts. On Aug 12th, Venus moves into the sign of Leo. On 17th she holds hands with Jupiter, and on the 24th she flirts with Uranus. I am a romantic its true, but not bias- as this is pure fact--- THAT'S some good-loving aspects!! So we have a window of time that we can really tap into the creative expression in all of its forms. The third week in Aug promises to bring some big smiles, relief from war and all the ugly traits of the ego. The new moon in Virgo on the 25th can push us to practical ways to show love. "HELP EVER HURT NEVER" my teacher says. My money is on the bet that by the end of the month we all can clean up a bit with a sweeping heart in action. By the 27th we have some friction between Venus and Mars; Tango replaces the Hummingbird dive.Spicy replaces Sugar. Oh, Nina will be singing about "sugar in her bowl" but we all know that SPICE is what makes the loving hot.